Merata Mita first appeared onscreen in 1977. In a candid and intimate interview, she discussed her decision to have an abortion—having faced the rampant stigma, she positioned herself as an ally for other New Zealand women. Only a few years later, Merata would become the first Māori woman to write and direct a narrative feature film. Over her decades-spanning career, she bore witness to and advocated on behalf of Indigenous movements in New Zealand and around the world. In Bastion Point: Day 507, she documented the Ngāti Whātua’s fight for land rights (after 506 days of the protestors’ occupation, police and military units arrived to force them off their traditional land). In Patu!, Merata depicts the anti-apartheid demonstrations and the state’s violent retaliation, which arose amid the 1981 South African Springboks rugby tours in New Zealand. After Merata died suddenly in 2010 at the age of 67, her son, archivist Hepi Mita, embarked to learn more about his mother’s life. 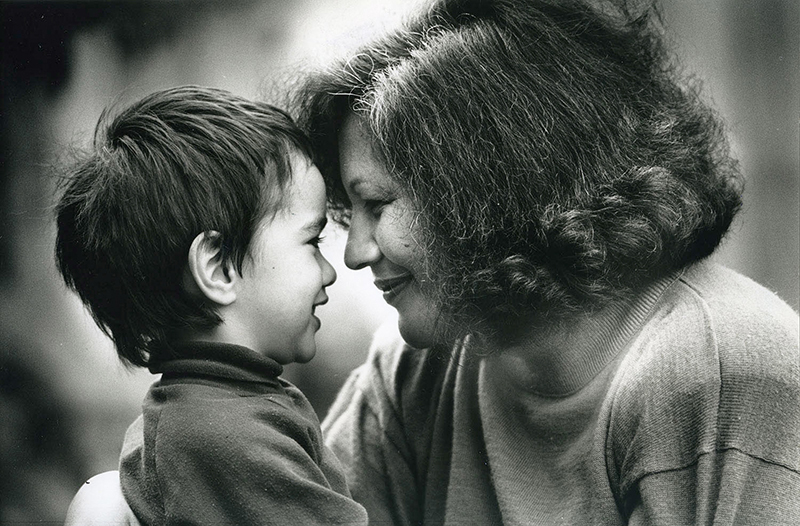 As the youngest of Merata’s six children, Hepi only really knew his mother as “a loving mum,” feeling somewhat sheltered from her ceaseless work as a filmmaker and activist—which came at no small personal cost. To find some answers, Hepi turned to his filmmaking debut, Merata: How Mum Decolonised the Screen. He meticulously outlines Merata’s work within its sociopolitical and filmic contexts, and compiles hours of archival footage, from family photographs to old interviews to unfinished projects. To indicate the international reach of Merata’s art and mentorship, Hepi interviews the likes of fellow New Zealand director Taika Waititi and Bird Runningwater, director of the Sundance Institute’s Native American and Indigenous Program, which inaugurated the annual Merata Mita Fellowship in 2016. As we watch Hepi view and scan canisters of 16 mm film, his gentle voiceover narrative remains steady, but is sometimes sparse or removed. Merata became a filmmaker out of a desire to make visible her own life, her own experiences as a Māori woman—and rightfully, Hepi primarily centers Merata’s voice to tell her story. But he returns, often, to a single question: After all the personal sacrifice of Merata’s work, was it worth it? Here, Hepi turns to his older siblings, whose moving interviews create an illuminating private portrait of their mother, anchoring the documentary’s personal narrative. Hepi’s siblings recall being brought along on Merata’s many filmmaking projects, often at the sites of massive sociopolitical protest. They reflect on her work’s long-lasting consequences, both good and bad, on their young and adult lives. With difficulty, they describe the traumatic moments, from Merata’s abusive second marriage to confronting police intimidation on their doorstep. But they relate the countless joyous times, too—and Merata’s own words remind us that she started her work in hopes of a better future for her children. From the start, Merata was a tireless revolutionary. When people complained that she didn’t make “nice” films, Merata said that it was because they were doing such ugly things. She said she likes a hard edge, because there are already so many soft edges, so many compromises—and compromise is a part of being colonialized: “You have to compromise to survive.” Her mission, in her words, was to decolonize and indigenize our screens. 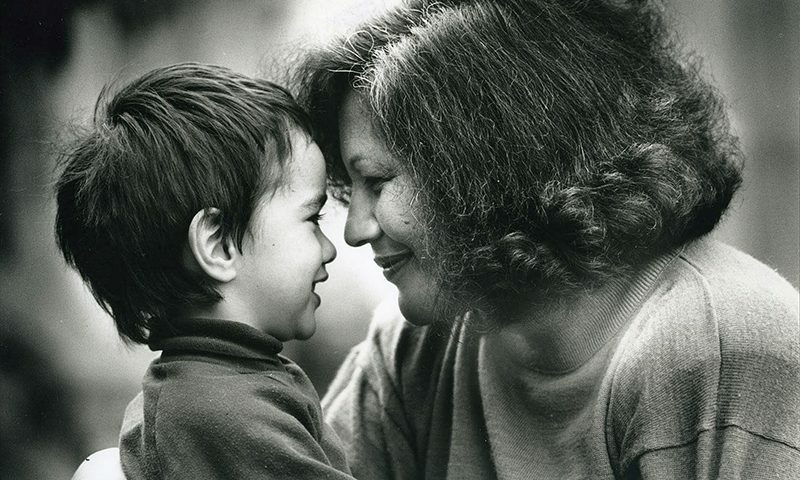 With Merata: How Mum Decolonised the Screen, her son Hepi Mita continues the task.